Released one year after the passing of Sharon Jones, Soul of a Woman continues her legacy by presenting the spirit and the Soul of Sharon Jones and the Dap Kings. The recording hears “Rumors” on a rolling rhythm, dials up graceful Gospel salvation with “Call to God”, sinks into Vintage Soul on the swell of strings and a strident groove for “These Tears (No Longer for You)”, and advise putting pride behind for the love in front on “Girl (You Got to Forgive Him)’. Soul of a Woman is the final studio album for Sharon Jones and it tells the tale of a Soul singer whose name will forever be attached to the music she champions. Making the first foray into solo recording at forty years-old, Sharon Jones carved out a mighty career over the next two decades. 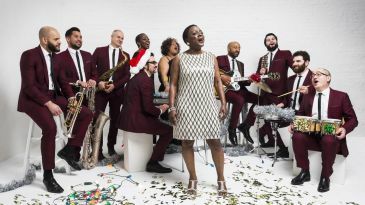 Aggressively confronting a music industry that claimed she was ‘too short, too fat, too black, and too old’, Miss Sharon Jones gripped the microphone with audacity, finding a home at Daptone Records and backed by house band The Dap Kings. Sharon Jones and the Dap Kings gave a worldwide branding for the label that welcomed them in as they gave the globe a taste of true Soul. The drive of “Sail On!”, the groove that playfully zigzags underneath “Matter of Time”, the luxuriant rhythms of “When I Saw Your Face”, and the optimism of “Searching for a New Day” define a genre without dating its sound. 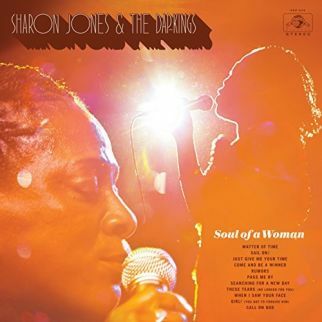 Soul of a Woman makes a simple request on soft Soul as it asks “Just Give Me Your Time” while Sharon Jones and the Dap Kings shimmy on a rhythmic shuffle as they offer a path to brighter times with “Come and Be a Winner”.